We take the regenerations seriously! 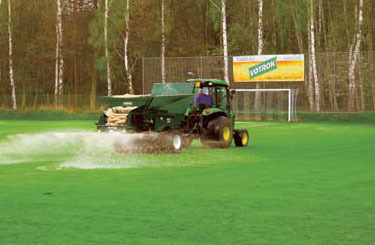 AGRO CS – AGRO Profi is well-known for creating football pitches and there is a special programme created in order to meet the demands of our customers. We are leading distributors of grass seed mixtures, turfs, fertilizers, substrates, machines and other products for plant care. 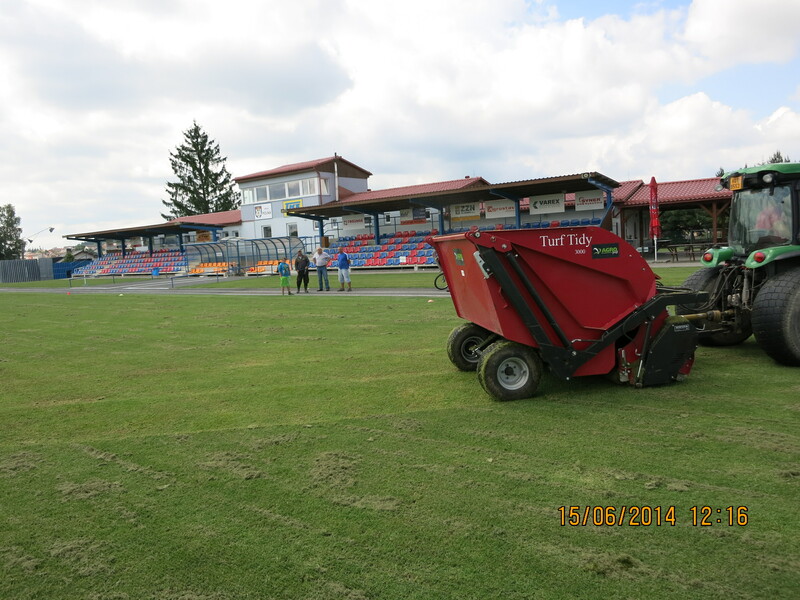 Our latest activities include constructions and reconstructions of sports grounds. 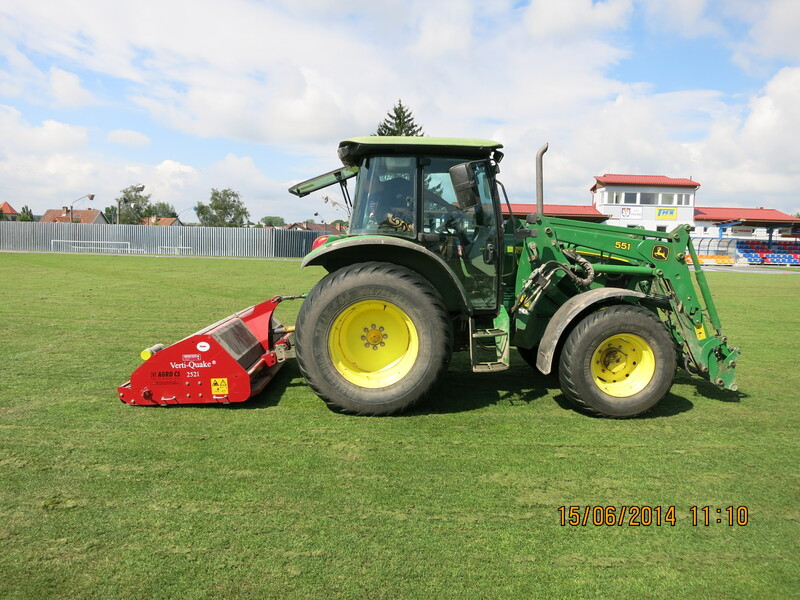 An important part of this activity is the regeneration of football pitches. 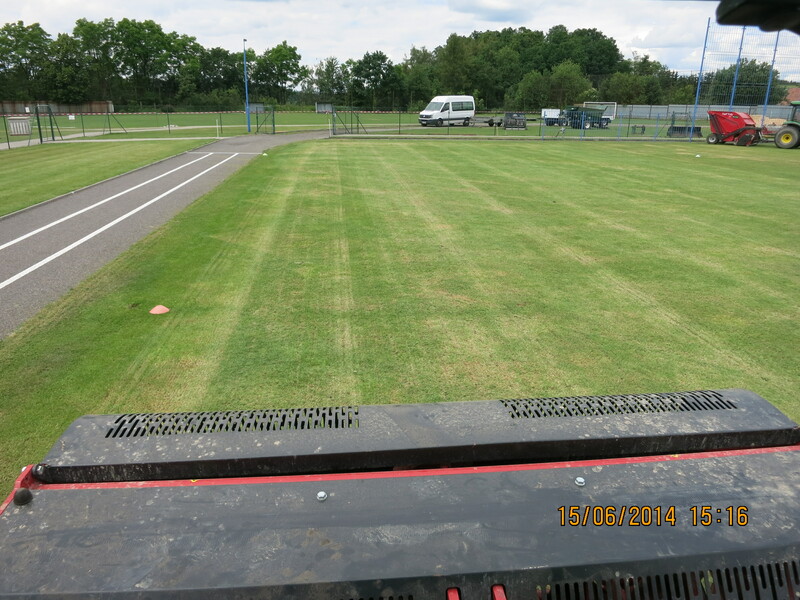 This is why we use modern machines, which are unique in the Czech Republic and provide complete regeneration programme in order to regenerate slightly or completely damaged lawns. 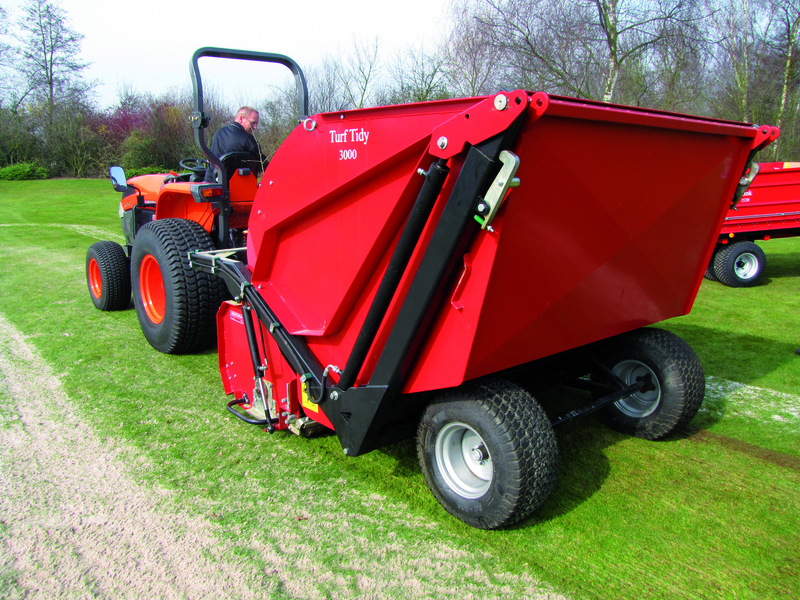 We use the following machines: dethatcher – Turf-tidy 3000, speacial rotary aerator – Verti-Quake, aeration machine Verti-Drain, overseeder TurfCo Tri-wave, large area topdresser TurfCo CR 10 and a drag mat. 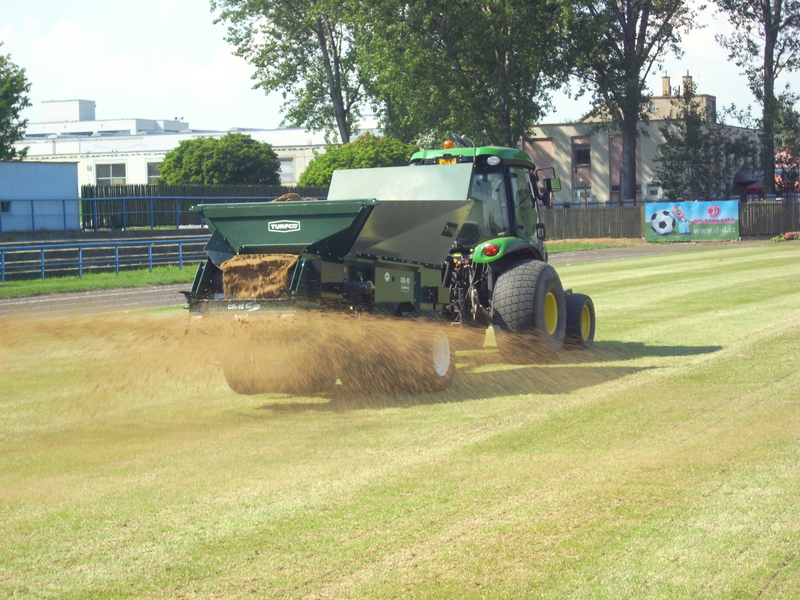 Not only our machines are our big advantage, but also the grass seed mixtures, fertilizers and other material which we directly produce, which means reducing the total cost of the regeneration. 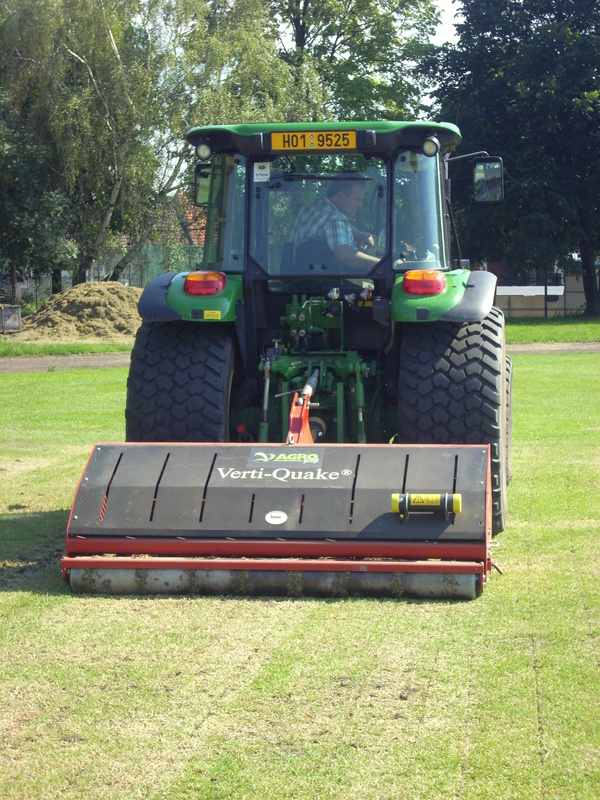 An important part of the football pitches programme is the cultivation of turfs for heavy traffic areas. 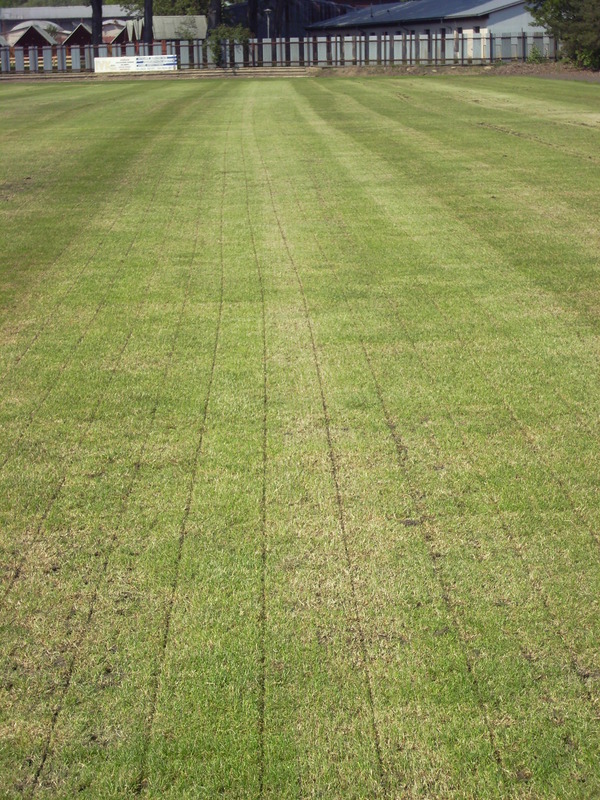 We are the only company in the Czech Republic which focuses on the cultivation and professional laying of football turfs. 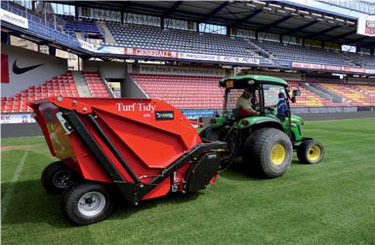 AGRO CS Football turf is a high-quality turf, which is grown on a lawn substrate that meets the standards for the construction and regeneration of sports grounds. It is recommended to keep off the turf in the beginning. 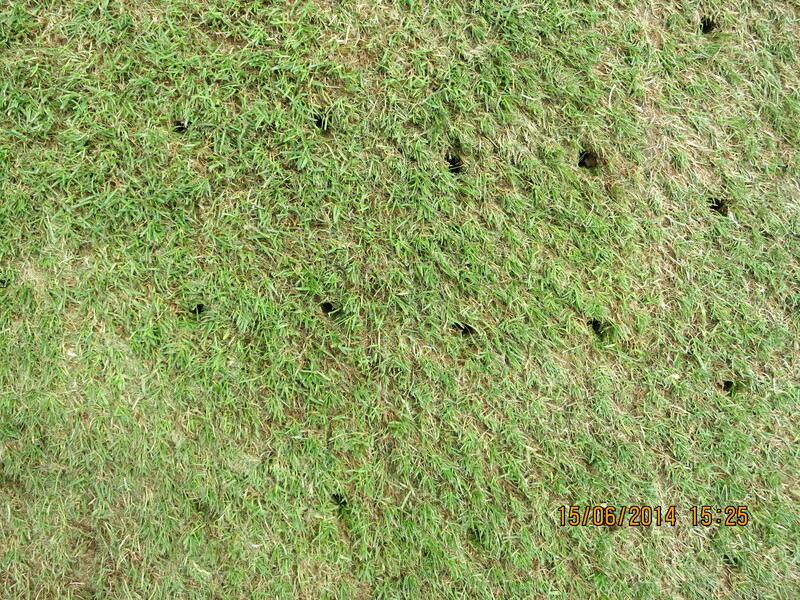 You can start using it fully in one to three weeks from laying depending on the thickness of the turf. When cooperating with AGRO CS, a professional team will work for you and will be willing to help you in any situation. 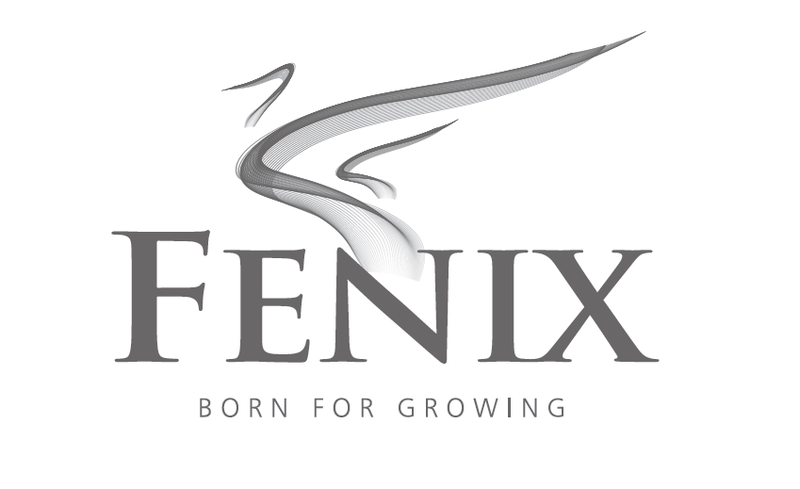 We have been working in lawn and plant care for 15 years and during that time we have built a very strong position on the market. We cooperate with professionals both from the Czech Republic and abroad. 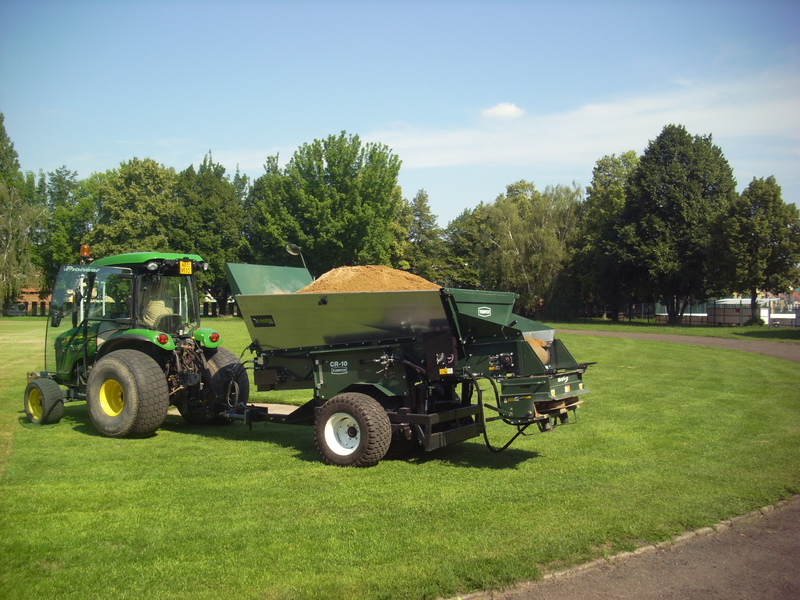 We use our private laboratory accredited by the Czech Accreditation Institute, where you can send your soil and water samples for analysis and then, based on the results, we develop a turf fertilization plan. AGRO CS provides counselling for the selection of grass seed mixtures, watering, disease recognition and turfs' subsequent treatment. 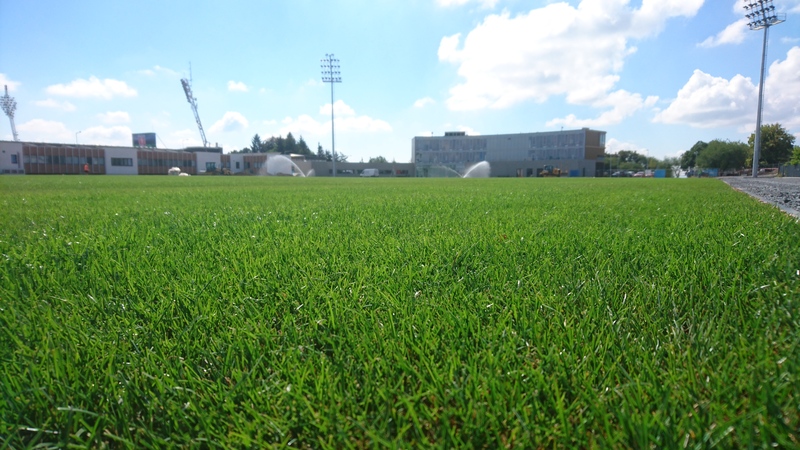 Based on the evaluation of a sports ground, we are able to prepare a complete maintenance plan for the whole year including financial costs. 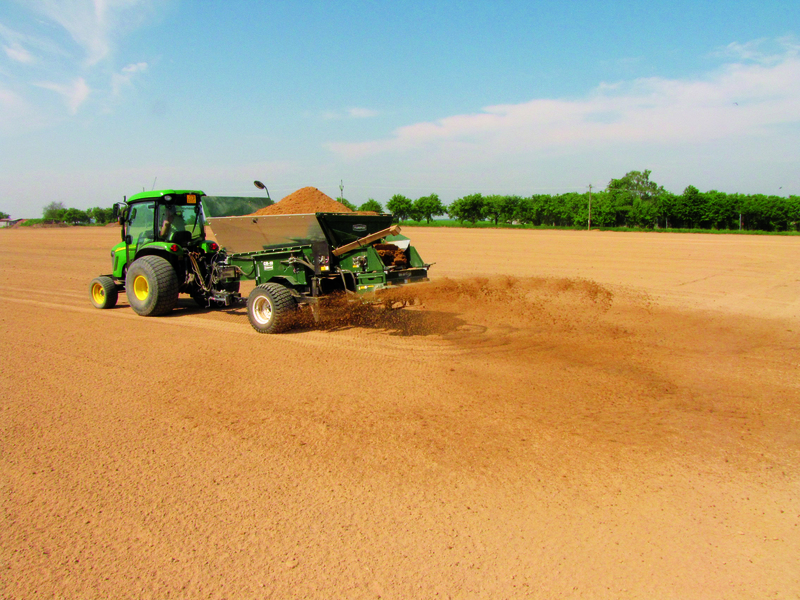 CR 10 is an all-singing large area topdresser evenly spreading all the material. This is a combination machine for loading, transport and application of the material with a large hopper capacity (3 m3) and WideSpin ™ technology. For easy loading and unloading of the material, the CR-10 can lift the hopper up to 2.18 m with the capacity of 3.1 m3. This is a large area topdresser allowing you to set the type of application you want - from 4.6 m to 12.2 m.
The hopper capacity is 3m3. The rear mounted cross conveyor is designed for loading from tight areas. The spinners allow you to set the type of application you want—from very light to medium or heavy. The low profile and the light PSI let you easily move large volumes of material. 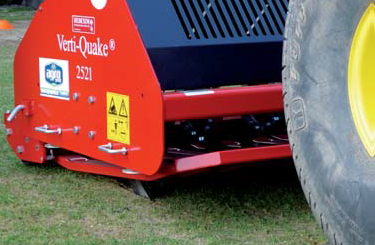 This topdresser is suitable for light, medium and heavy applications. 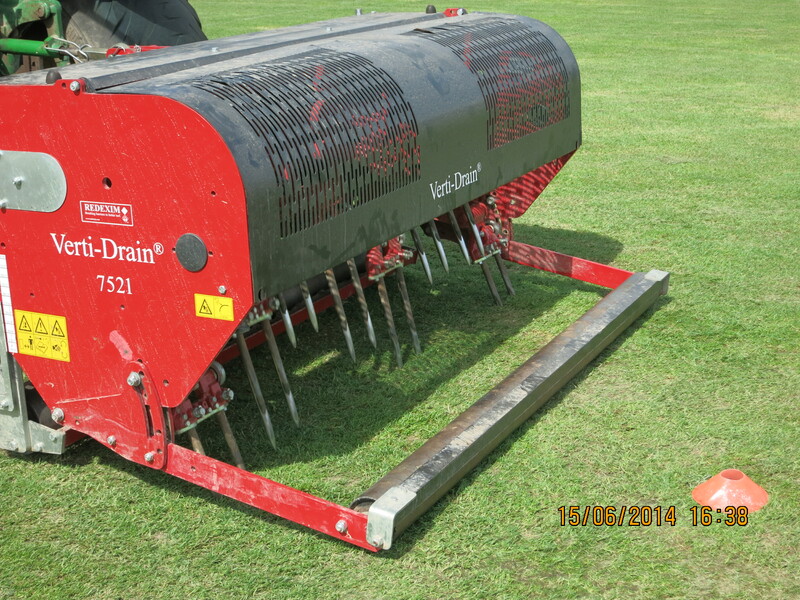 This aeration machine is suitable for deep penetration, creating better conditions for grass growth, lawn regeneration, faster water uptake and overall lawn quality improvement. 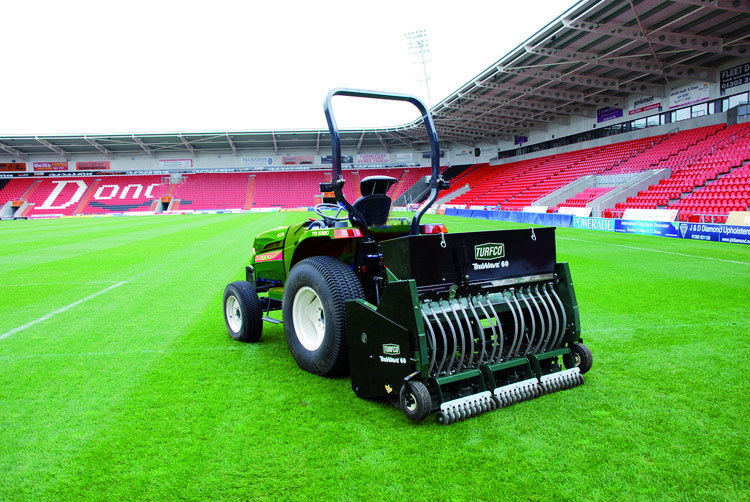 Aerating the lawn can be done at any time with no need for a break during the game. 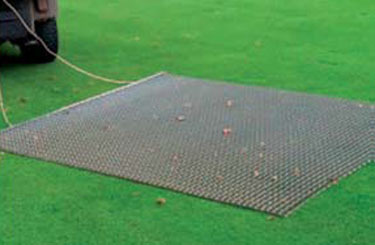 This is a steel drag mat (180 x 240 cm) designed to perfectly level sand. 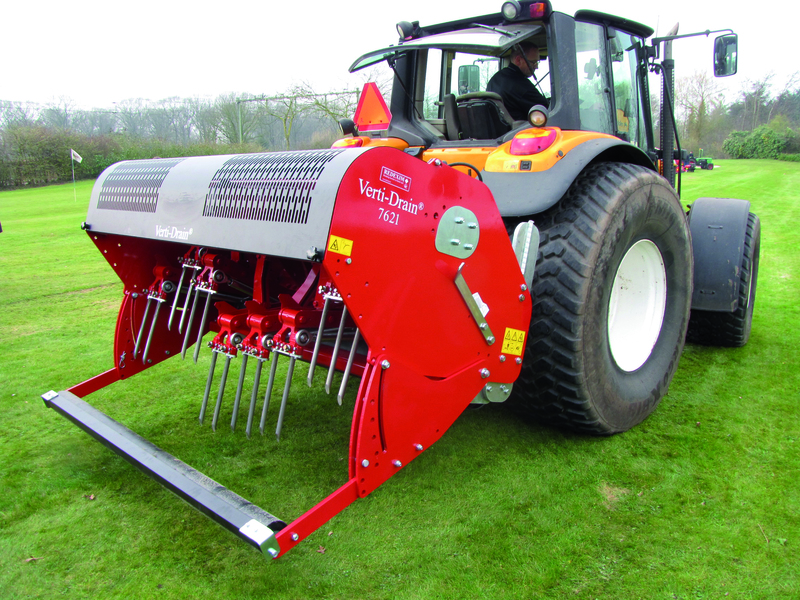 Professional dethatcher with great operational width (180 cm) and collection tray with the capacity of 3 m3 made by Redexim. 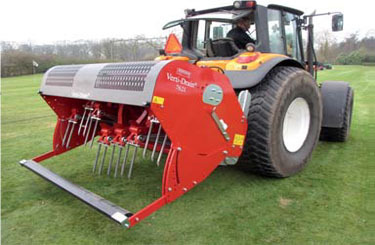 Verti-Quake is a rotary aerator that decompacts the soil using a set of rotating steel blades. As these blades cut cleanly through the soil, they create a wave action that shatters compacted areas and opens up the subsoil. 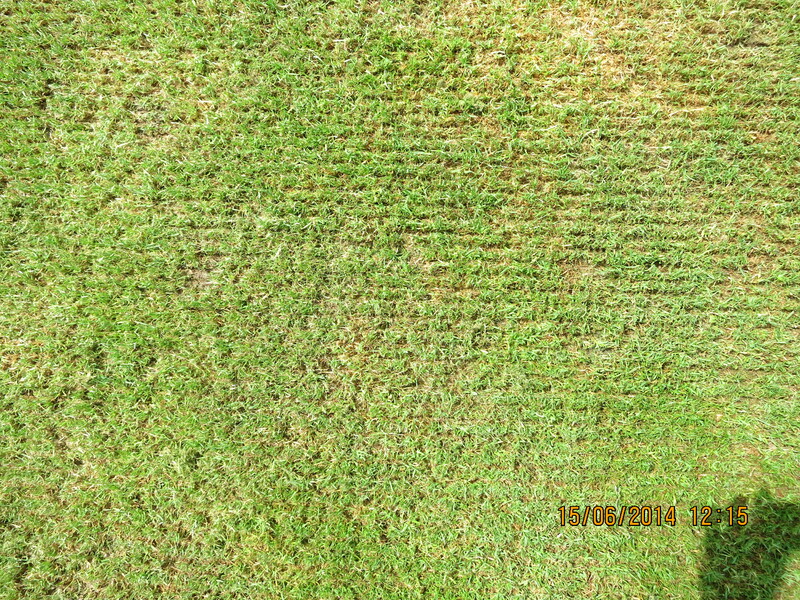 The surface remains virtually intact. 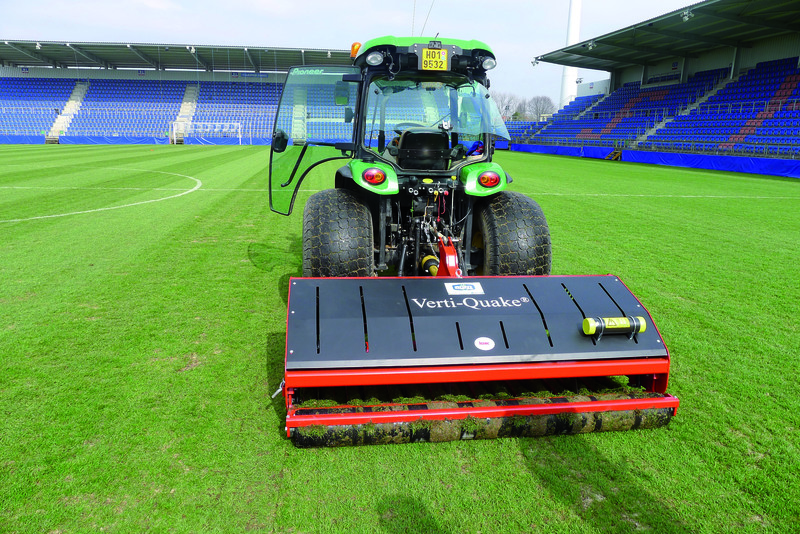 Verti-Quake significantly improves water permeability, the root system, water distribution and nutrient distribution. The maximum penetration depth is 550 mm.